Sure, we’re in the dead of winter. But don’t stay home sleeping. Take a winter walk. And if you’re anywhere near Presqu’ile Park in Brighton, so much the better. 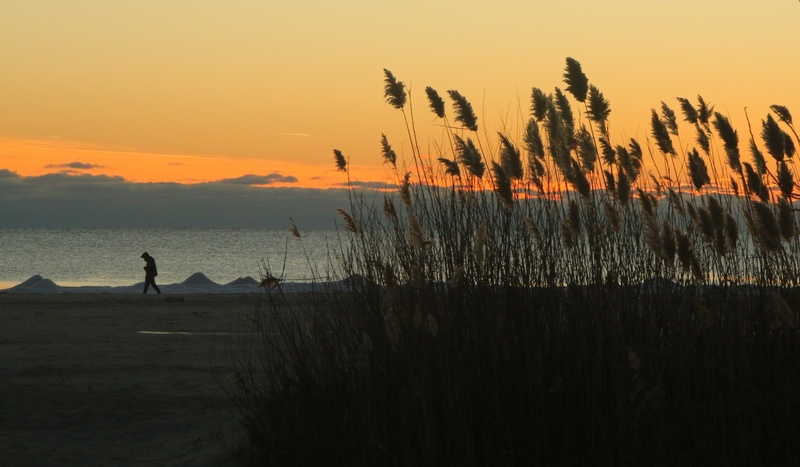 Take a late afternoon walk or a drive around the loop or near the beach, and you stand a good chance of seeing something great! 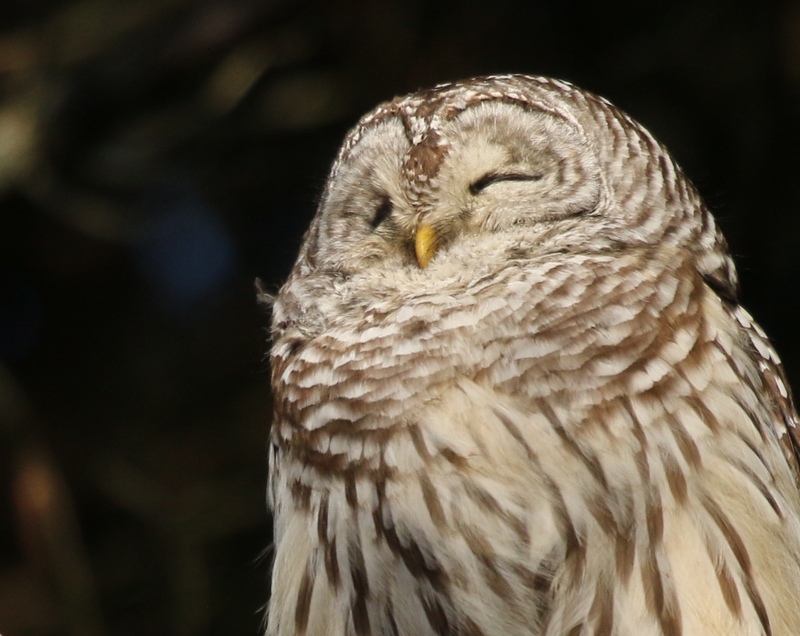 Barred owls hunt in the open fields, and usually sit about 5 to 8 feet up trees. You don’t have to look high up to see them. 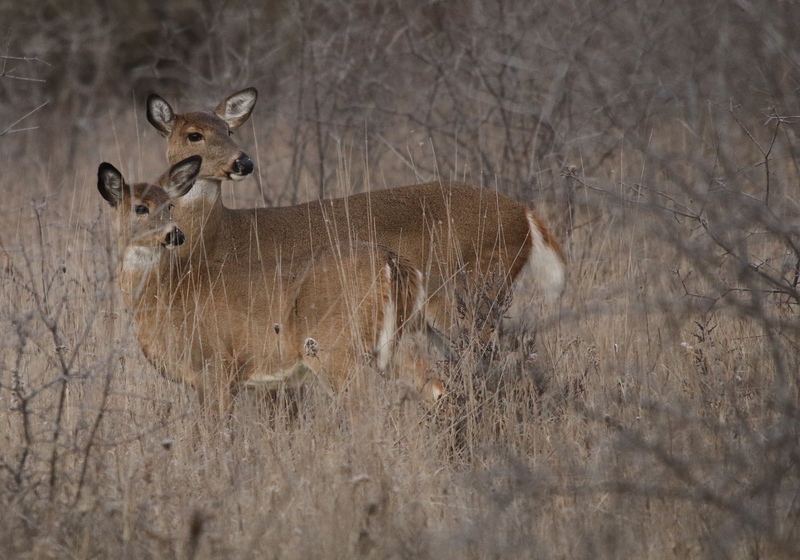 White tailed deer seem to be more numerous this year. 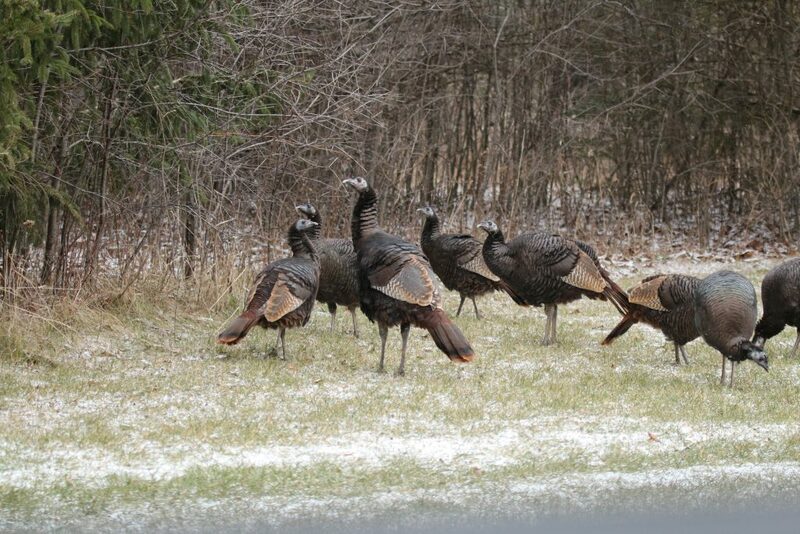 I have nearly walked right into them as they stood still on Jobes Woods trail. I’ve also seen them on roadsides and in the woods, mostly at dusk. Driving slowly is a must to see all these critters. More than one flock of wild turkeys roams the park and you can see them anytime of day. 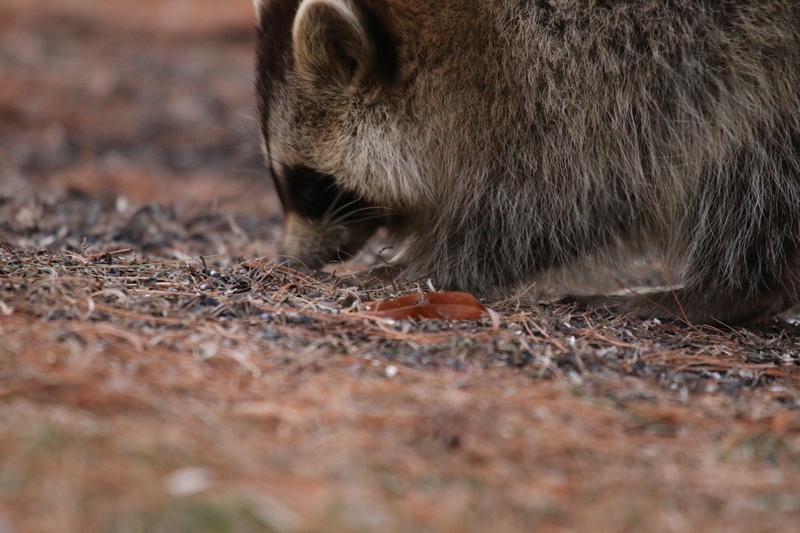 I often see them by the outhouses in the day use area, or near Calf Pasture fields. 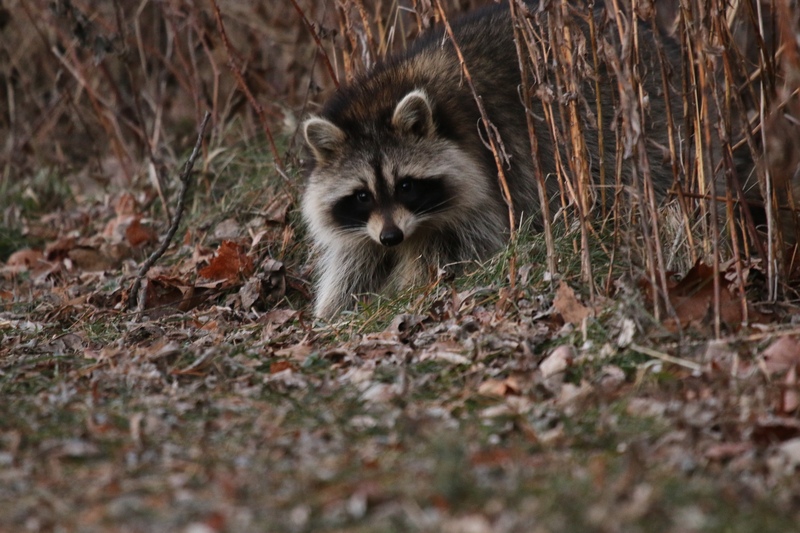 One afternoon just as it was getting dark I was watching a Barred Owl hunt right by the camp office bird feeders, and two racoons emerged from the bushes, noisily growling at each other.. 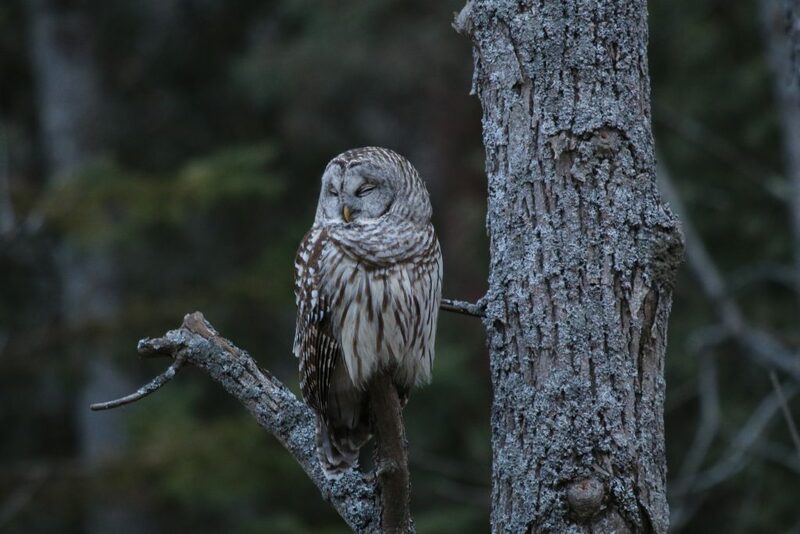 They walked right past the owl as it was mantling over a vole it had caught on the ground, and they headed over to the bird feeders, to scrape around for what they could find. After that, they clambered up a tree and went to sleep up there nestled in a little ball. I have been loving walking on the beach in the golden light at the end of the day and looking at all the twisted trees by the lakeshore. The crystal ball I carry with me adds another cool level of distortion to these trees, as the refraction bends and inverts the image. 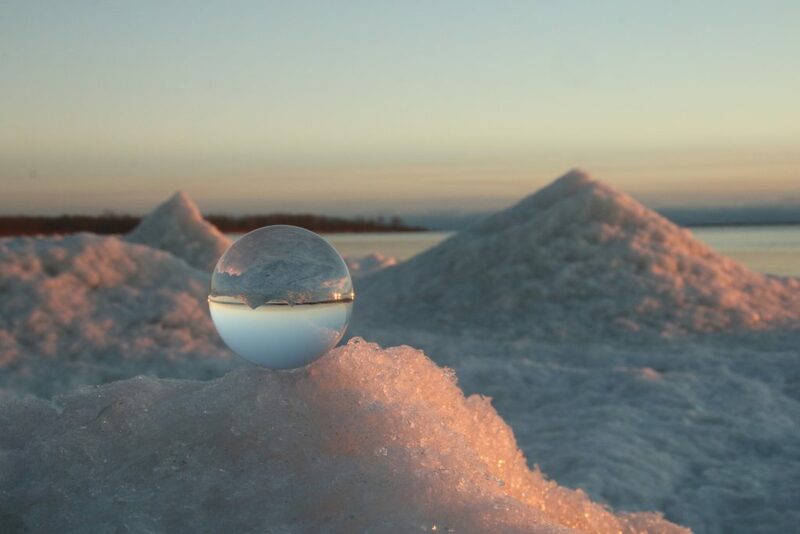 The ice volcanoes are starting to form at the beach, and every sunset offers a different view. Amazing photos Leslie! 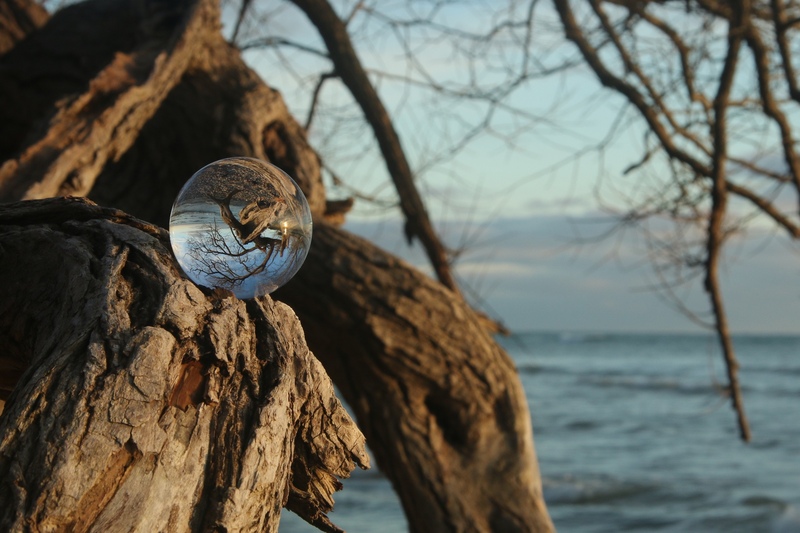 Love your crystal ball! Thanks Barb. Best little thing and I can carry it in my pocket.